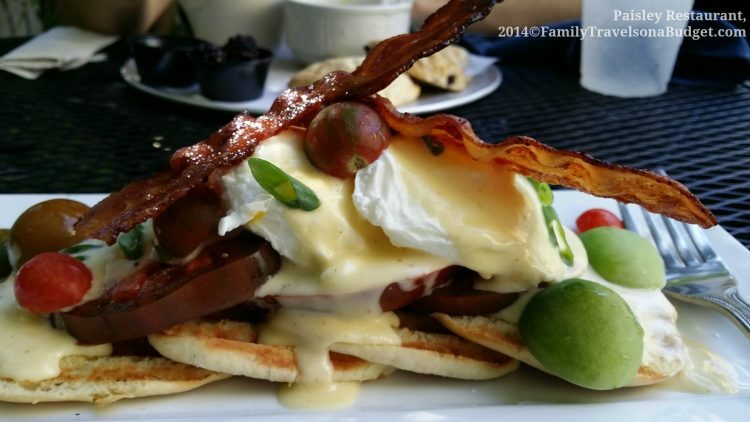 With 675 Tallahassee restaurants to choose from, which is most fun? Of course, fun without great food would be no fun at all… So, this list includes 5 unique restaurants with an incredibly fun atmosphere and fabulous food! 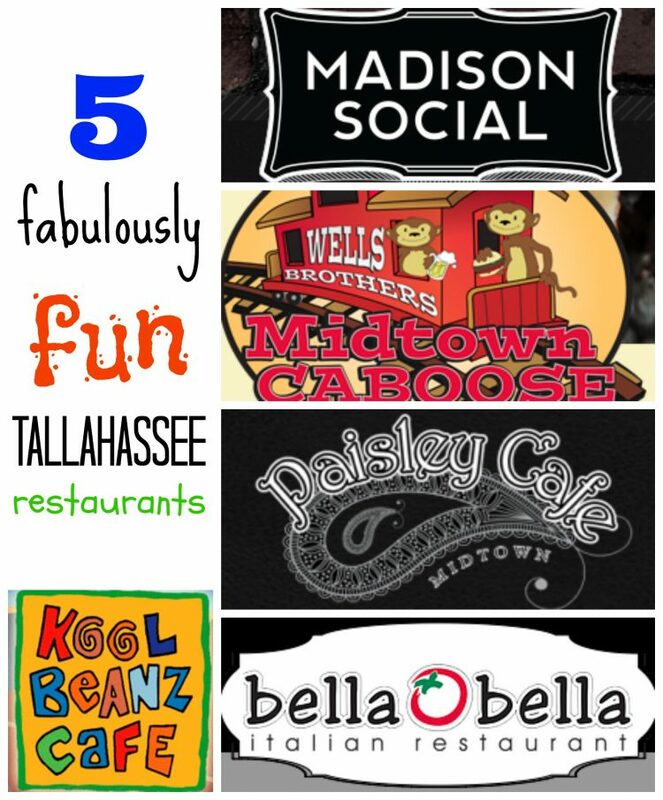 At the top of our list is Madison Social, the ONE restaurant that should be included on every visit to Tallahassee. 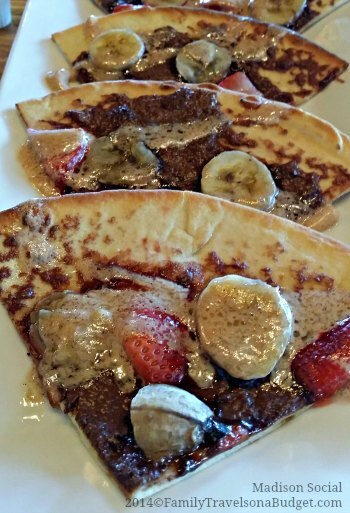 The food here is fantastic, and we highly recommend the Nutella Pizza if going for brunch and the MadSo burger for dinner. Madison Social makes top restaurant not just for the food. This place is an event destination, where friends can gather to run before brunch, Trivia on Tuesdays (bring a friend or 5) or for TBT Thursdays. The restaurant is located directly across from the Florida State football field, so you can imagine how weekends play out. If you love Italian food, The Bella Bella is the place to go in Tallahassee. 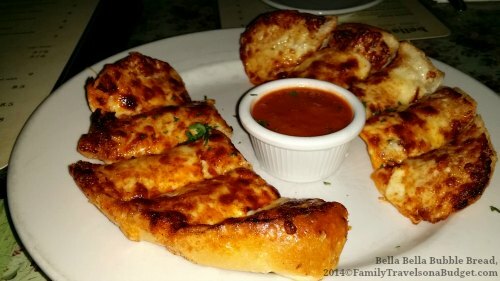 Bubble Bread, the signature appetizer, is a gooey, cheesy, garlicky mess of goodness that you really should try. I’d love to go back for more. Great food served in an eclectic, cozy dining room makes this a great place to enjoy your favorite Italian dish. The Bella Bella is closed on Sunday and lines get long on Monday! 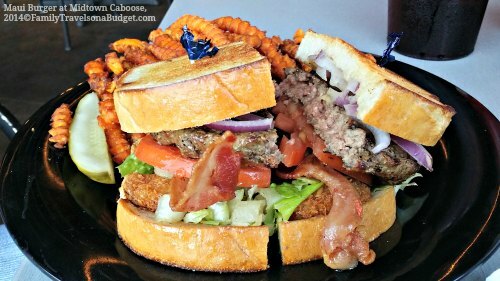 The Midtown Caboose is a burger joint and so much more! I highly recommend dining outdoors on the back patio and arriving early, though, it’s worth the wait if you go late! The menu offers a variety of sandwiches, but really…. get a burger! They’re huge, juicy and come in combinations you won’t find anywhere else! My 20-year old son could only finish half of his Maui Wowie burger, a beef burger served on sourdough bread with lettuce, tomato, onion, bacon, deep fried shrimp and a strawberry-pineapple-jalapeño cream cheese sauce ($13.95). He used more than a few napkins along the way! Last, but certainly not least (as all 5 of these restaurants is amazing), is Kool Beanz Cafe, another unique dining experience you won’t soon forget. Kool-Beanz motto, “Eat, drink and talk loud, you’re among friends,” is really what this place is about. Atmosphere! High quality food! And well…. lots of fun! 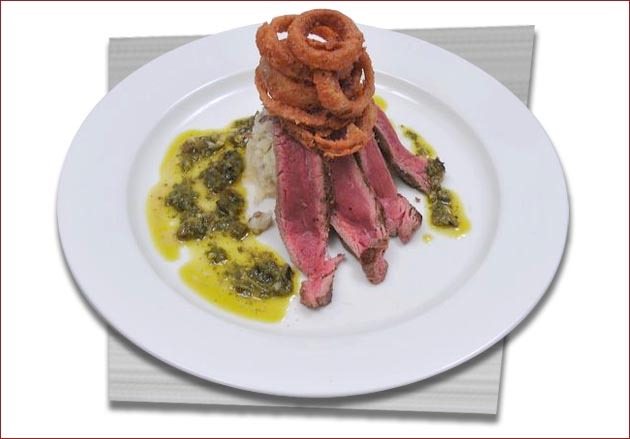 The menu offers a variety of unusual dishes — different from a chain restaurant, but not so weird you won’t enjoy them…. if that makes any sense. Desserts are incredible (so even if you’re stuffed — as you will be — order a dessert to go!) Kool Beanz is open for lunch and dinner Monday-Friday and for dinner on Saturdays. Closed Sunday. What are your favorite Tallahassee restaurants? I’d love to hear from you! What’s your favorite Tallahassee restaurant? What’s the best thing on the menu? September 19, 2012 9:18 am by The Mens Shoe Boots from the Swear manufacturer is also hugely well-liked. This branded pair has been a strike in the industry since the calendar year 2000. 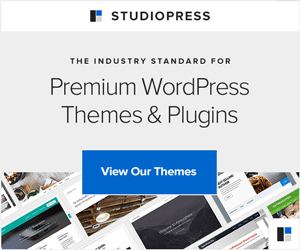 The shoe is provided to you in a black colours and several superstars from the videos and tunes sector of the United Kingdom have produced it 1 of their favorite decisions. The entrance close of the boot showcases a lace which gives the shoe with a quite small healthy.